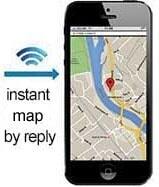 Just text the device from your phone, and receive an instant map by text reply. Our Dementia Trackers are packed with great location features - like knowing when someone has wandered too far, fallen, or hit the 'panic' button. It even has two-way calling - like a mini-mobile phone. You can learn more about how it works using the links below. 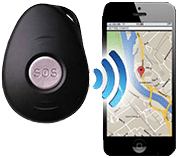 GPS Dementia Trackers allow you to receive instant map locations to your phone, to know when and where your loved one has wandered. Tracking dementia and Alzheimer's patients can also allow you to learn their routine walking routes, and offer peace of mind should they become lost. 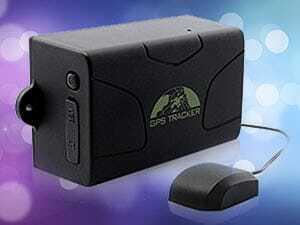 GPS Elderly Trackers offer a range of benefits. The Trackers are waterproof, tamperproof, offer an SOS (panic) button should your elderly relative become confused, and also two-way calling. Yes - they're also like very simple mini-mobile phones! Fall Detectors make great use of built-in motion-tracking functionality - if the wearer falls, the device will trigger a text alert to be sent to up to three carers. 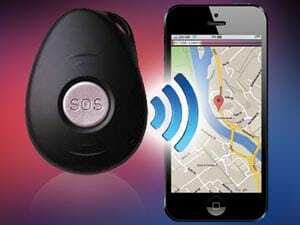 They can also call-out by pressing the button in an emergency. Two thirds of dementia patients will go missing at least once this year. If not found within 24 hours, up to half could suffer serious injury or death. Know WHEN they wander, and WHERE they are. Our user-friendly Dementia Trackers and Elderly Trackers offer unique flexibility for sending various alerts to multiple carers or relatives, are really easy to set up and extremely cheap to run (typically just £1-3 per month of SIM costs). With eight years of experience we offer plenty of relevant help and information, and take pride in caring for our customers' needs. Our Dementia Trackers are extremely useful. When your loved one with dementia or Alzheimer's goes wandering - you have a number of options. First you can set the dementia Tracker ahead of time to alert you if the person with dementia goes wandering too far. Perhaps 100 meters down the road? Receive an instant text alert. 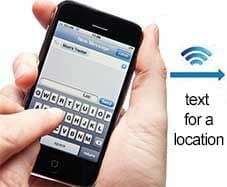 Whenever you like, you can text the device for an instant location. If you set up online tracking (for free!) you can log in online to see the route of where they have wandered - which might be useful to learn routine walks. If you wish to speak to the person with dementia or Alzheimer's, you can call the dementia tracker and have a two-way conversation with them - or just listen in to the surroundings. They don't have to do anything, the dementia tracker will answer automatically. There is also an SOS button on the dementia tracker which will send a text and phone call to up to three carers, but if the person with dementia tends to fiddle or is unlikely to remember then this can be disabled without losing other important alert functions. The dementia tracker is also waterproof, tamperproof, can be easily charged via a drop-in cradle, and is incredibly cheap to use. We're sure you'll love it and find it immensely useful!